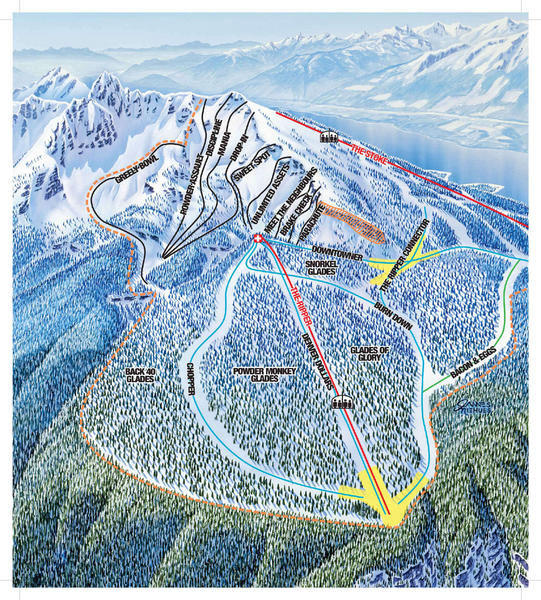 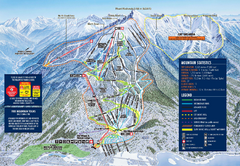 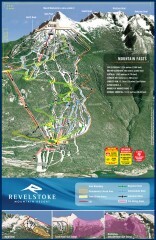 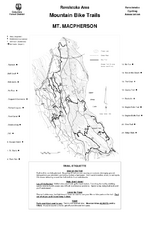 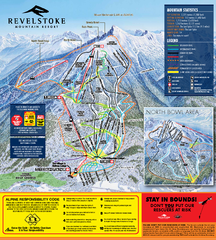 Ski trail map of the North Bowl of Revelstoke ski area in Revelstoke, BC. 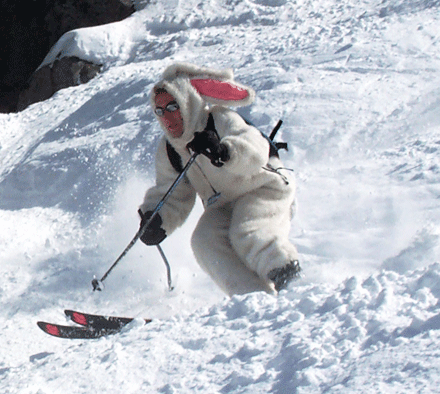 From the 2008-2009 season. 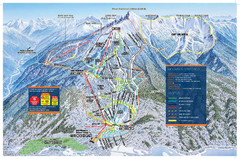 "new, high-speed quad chairlift in the North Bowl area, opening up an additional 900 acres of intermediate terrain (ski runs and tree skiing), as well as 300 acres of additional expert skiing."